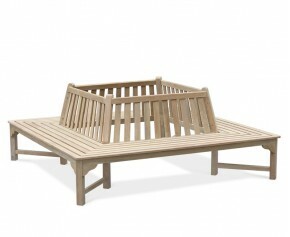 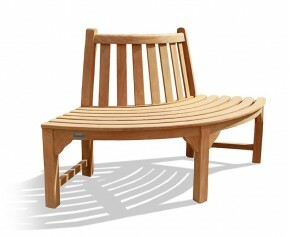 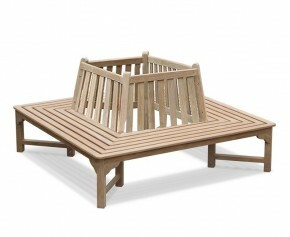 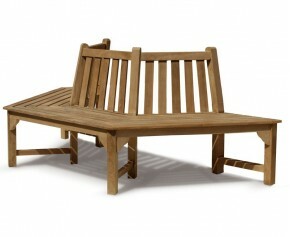 This teak half tree bench with back and arms is ideally suited to public parks and spaces where it’ll receive heavy use, it is equally at home in private gardens. 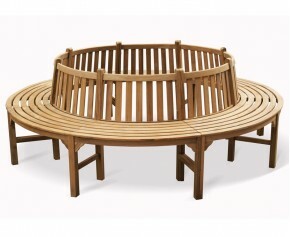 Creating an attractive, ample seating solution, this stunning semi-circular tree seat with arms adds elegance and charm to any outdoor setting. Built to withstand the test of time and extremes of weather, it requires minimal maintenance, and will turn from its golden colour to a silver-grey patina if left untreated. 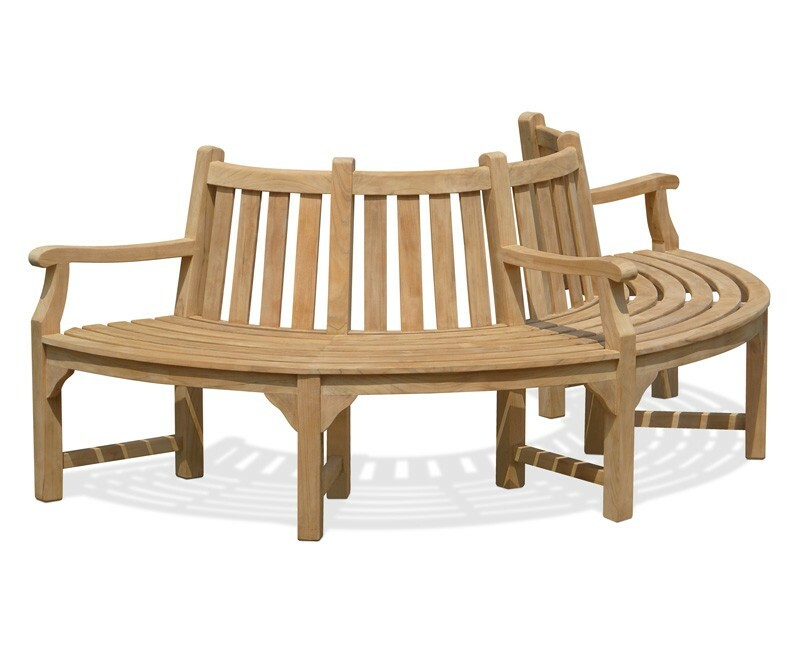 Expertly handcrafted from durable, sustainable grade-A teak using tight-fitting mortise and tenon joints for excellent quality and aesthetic appeal, this semi-circular tree seat can remain outdoors all year long, representing excellent value. 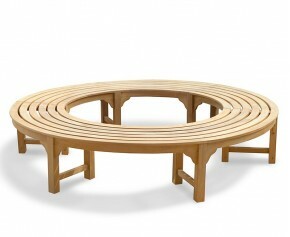 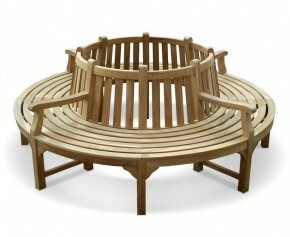 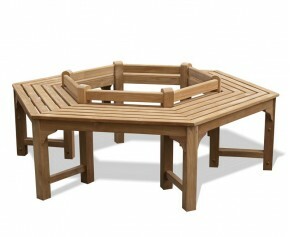 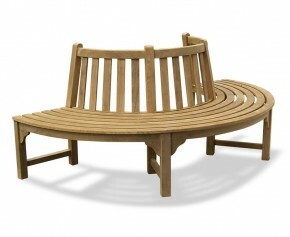 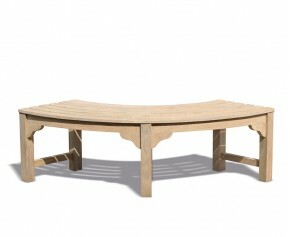 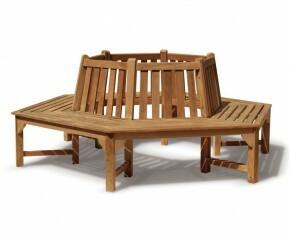 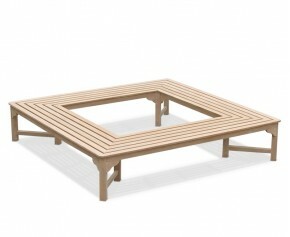 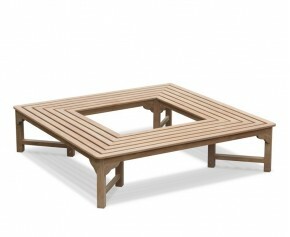 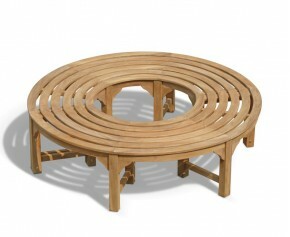 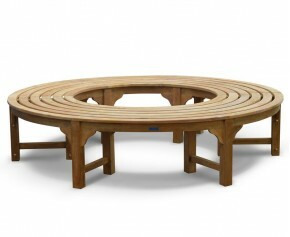 We will deliver this semi-circular tree bench to you fully assembled for your immediate enjoyment.